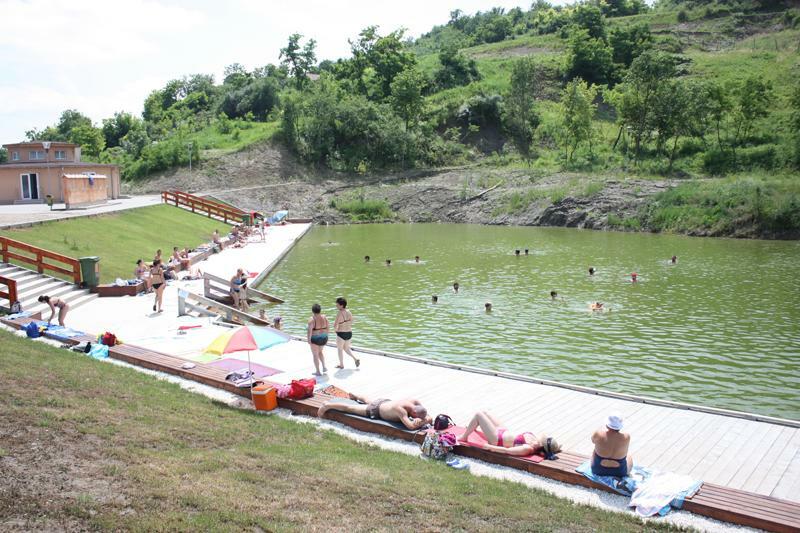 But luckily, we have our own miniature version of the seaside only 18 km from Cluj. 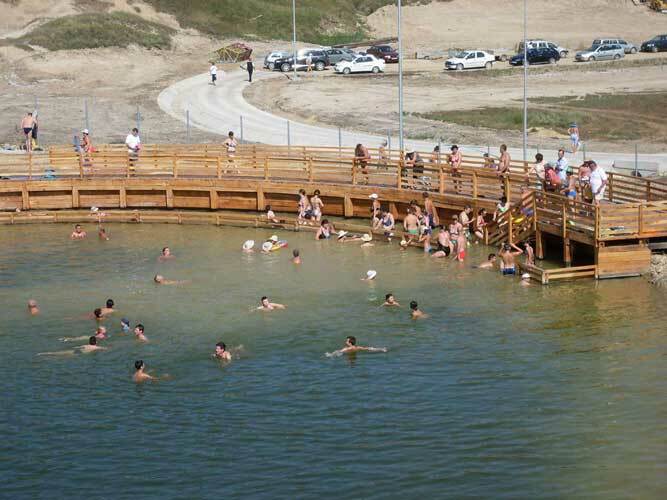 It is Cojocna Baths and they are a wonderful place to cool off when the heat becomes too much to take. 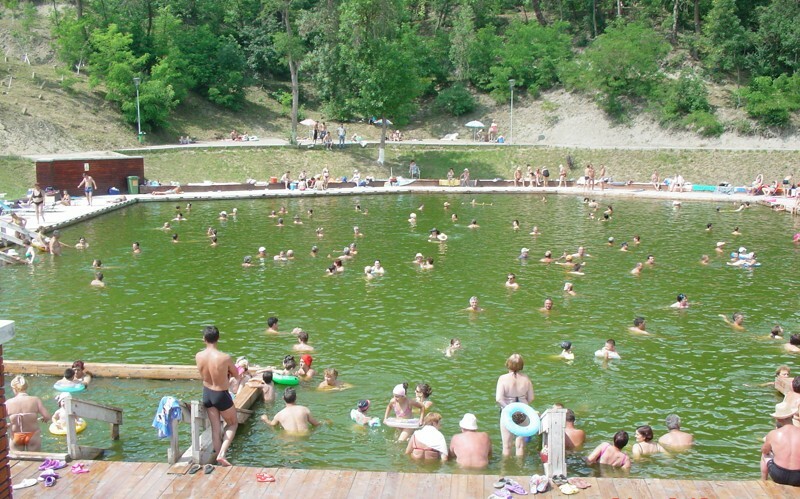 Cojocna Baths is a health resort known for the benefic properties of its salted waters. Some of these properties are the sterilization of wounds, the relaxation of the muscles, the stimulation of circulation, the reduction of inflammation, the treatment of acne, the rejuvenation and exfoliation of the skin. These are known by many. But few know that the baths were built on former Roman salt mines. The stairs that help people get to and from the water were built in order to make it easier for those who had to carry the heavy salt boulders on their backs. The Romans would dig only as deep as 18 m and then they would start another hole beside the first one. The reason why the holes were abandoned at 18 m was that it was too difficult to carry the salt all the way to the top. One of the perks of the water being so heavily salted is the fact that people have to make only the minimum of efforts in order to stay afloat. The salt keeps them on the surface of the water. 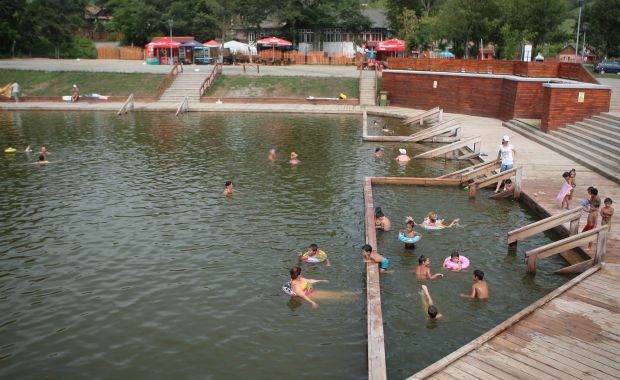 This means that you can relax your muscles and enjoy the coolness of the water without getting tired. Furthermore, there is not just one, but two spacious pools, so there is enough room for everyone. Those who prefer to sit in the shade can borrow umbrellas for free, while those who like to work on their tan can spread their towels on the wooden “beach” surrounding the pools. If you get hungry, there are plenty of places where you can buy minced meat rolls and French fries. For something more elaborate, there is also an elegant restaurant. If you want to spend a few days there, there is a bed and breakfast and a brand new hotel. 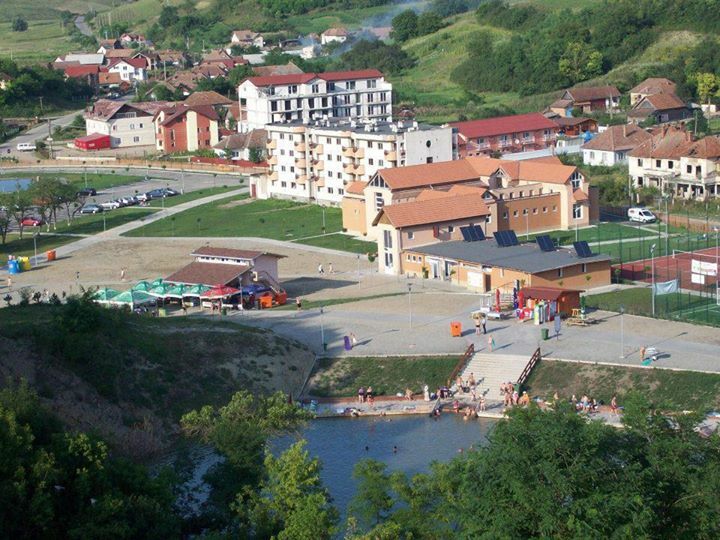 There are also many people in the village Cojocna that offer rooms for rent. So, this resort has everything you need to have a fully enjoyable time.